West Vancouver offers many possibilities for new and existing businesses, with some the lowest business tax rates of any municipality in Metro Vancouver. Change is coming to West Vancouver; the District has plans and projects that will strengthen and diversify our business scene. The Ambleside Dundarave Business Improvement Association was created in 2016. The Ambleside Waterfront Plan will provide important linkages to the business area in this key part of West Vancouver’s commercial district and waterfront. The redevelopment of 1300 block Marine Drive will create opportunities for vibrant local businesses. Park Royal is undergoing a significant expansion of its facilities and is expanding its services. With so much going on, now is the time to consider establishing your business here. 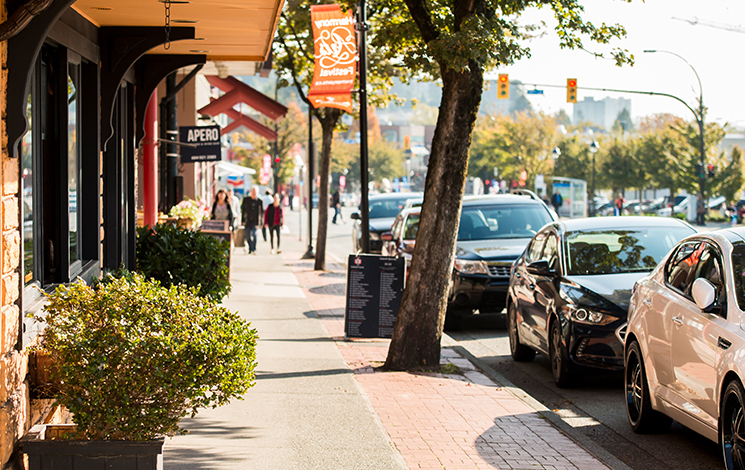 This plan represents the first in-depth analysis of local economic conditions in West Vancouver—both the challenges and the opportunities, and the relationship between local economic health and community resilience.